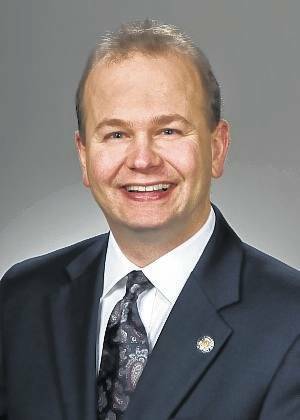 After winning the Republican primary on Tuesday, State Rep. Andrew Brenner, R-Powell, will face off against two opponents in November’s general election as he vies for the 19th District seat in the Ohio Senate. Andrew Brenner (R), Powell, received 67.42 percent of the votes in the polls with his opponent Joel Spitzer (R), Lewis Center receiving 32.58 percent of the 26,317 total votes cast in the primary race for the 19th District seat. Brenner, who received 67.4 percent of the votes Tuesday to defeat his opponent in the primary, Joel Spitzer, R-Lewis Center, will face Louise Valentine of the Democratic Party and Gary Cox of the Green Party on Nov. 6. Both Valentine and Cox ran unopposed in their party’s primaries. Brenner added he was grateful to his wife, Sarah Marie Brenner, for the hours she put in to help him win the Republican nomination for the 19th District Ohio Senate seat. He said she was instrumental in the work on his website and social media pages. Brenner said he also had help from his neighbor, Ben Burton, 14, who went out and knocked on doors alongside him. During his campaign, Brenner said he kept track of his steps as he went door-to-door, and he “averaged about 12,500 steps a day.” Brenner added she met with thousands of people while canvassing the district. Spitzer congratulated Brenner for claiming the Republican nomination. “I’d like to congratulate Andrew Brenner on his win in the primary for the state’s 19th Senate District, as an honorable person does, even in the face of terrible attacks,” Spitzer said late Tuesday. Spitzer added as the polls closed and the votes began to be counted, he wanted everyone to remember that running for office is not easy. Spitzer said that he is proud of the campaign he ran, of his body of life work, and to be a husband and father. He said most importantly, he is honored to have a family who supports him. This entry was tagged Brenner, Cox, D. Anthony Botkin, Democratic, GOP, Green Party, Ohio 19 Senate District, Spitzer, Valentine. Bookmark the permalink.